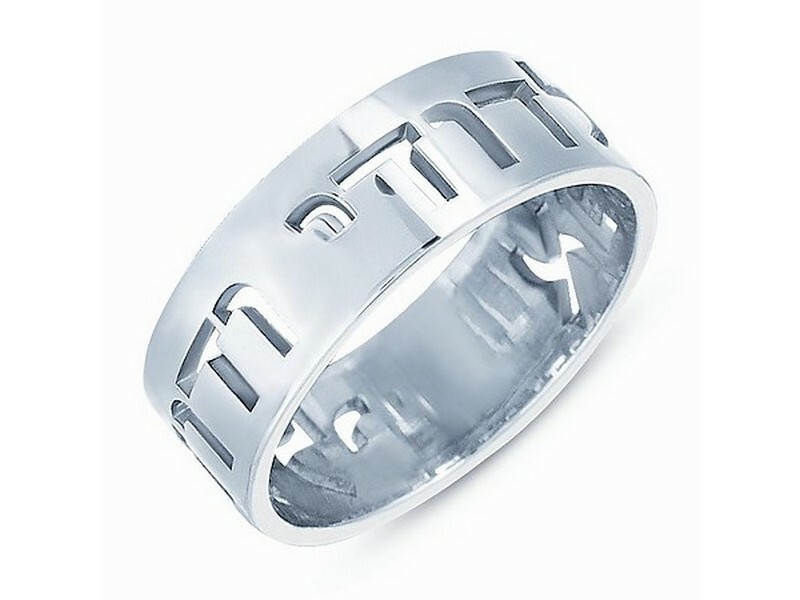 This wedding band has the symbolic words of love cut out. ‘Ani L’dodi v’dodi li’ meaning, I am to my beloved and my beloved is mine’. Wedding ring is suitable for both bride and groom. Made of highly polished sterling silver, this ring has a sharp look.